We started in the ages of Classic ASP, when there was no Google and the only web programming help you could find was through books (yes we are talking about hard copies, printed by Wrox, O’Reily and other publishers). Some of these business applications were eCommerce Applications but most of them Business Applications like ERP, CRM and other Productivity Improvement solutions. Why is Customized Web Programming required? The needs of our clients and their websites change with the growth and involvement of web. 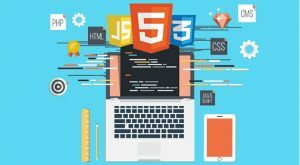 An estimate shows that 90% of new websites will have the need for custom web programming within one or two years of establishment. This is just because new technologies enter the internet world very frequently and so is changing the user behaviour. Here comes the answer to the question that why customized web programming is required. Custom web programming allows you to add dynamic content and flexibility, integrate your in-house data systems, and keep your data in sync. As with everything Quarter Pie Interactive does, all of our web solutions cater to your unique needs. If you have an idea or vision, we can build it for you. No project is too large or complex for us. In fact, we live for these challenges because the roughest roads always lead to the top. Professional web site development is Quarter Pie’s’ long time speciality. In addition to custom website design, we also offer custom web programming that are optimized specifically to handle the needs of clients and their online businesses. We make websites flexible, adaptable, and make them work the way our clients. By using Quarter Pie’s website development services our clients manage their custom tailored sites easily and flourish their business online in the way they have imagined. And, everything is done keeping professionalism on top levels. Quarter Pie Interactive excels in custom programming. Instead of simply finding a way to “make it work,” we create custom website code from scratch, if needed, to ensure that your site runs smoothly. Our experienced programmers have gained those skills to produce websites that perform as well as they look. Another important reason for using custom web programming is for the increased security features. With custom web programming code, Quarter Pie is able to create websites that are more resistant to hackers and attacks. Combined with security technologies, such as SSL, sites designed and programmed by Quarter Pie become suitable for eCommerce, financial transactions, and other business features that require high-level safety and security.